After retiring from the lead last time out at Wales Rally GB on the back of three consecutive wins, Tanak entered Spain 21 points adrift of leader Thierry Neuville. But Tanak was able to capitalise on off-road incidents for his two main rivals to move top on the third stage of the rally. M-Sport’s Ogier held a 3.7-second advantage after the opening asphalt stage but Tanak cut that to just a single tenth following the opening run on the short 7km Gandesa gravel leg. 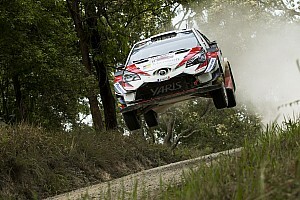 Even still, Tanak thought there was more pace to come – complaining that the Yaris’s set-up was too soft. 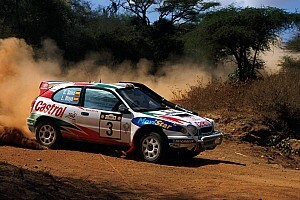 Neuville had made the conservative decision to run on the harder compound tyres, despite starting first on the road. But on the final stage of the morning he overshot a junction and span. “I tried to push but in these conditions – being first on the road – there’s not a lot you can. It was a disaster,” he said. The Hyundai driver rejoined after reversing, but as a result he ended the morning eighth – 37.8s adrift of Tanak and 13.4s behind Ogier. That allowed Elfyn Evans’ run of consistency quick times in his Ford Fiesta to take him second, 11.7s off Tanak. 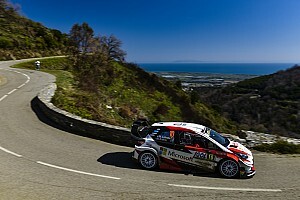 Hyundai duo Dani Sordo, a another eight seconds behind in third on his return, and Andreas Mikkelsen head Ogier. Sixth-placed Sebastien Loeb is just three seconds further back in sixth as the nine-time WRC champion makes his third and final appearance of the season for Citroen. Jari-Matti Latvala’s surprise at his initial pace was undone when he suffered a suspected broken suspension arm on the final stage. On the rally’s third stage, he beat Toyota teammate Tanak by 1.9s, saying: "I'm surprised! I said to Miikka [Anttila, co-driver] I didn't know if we were going too slow or too fast. "We were sliding a lot, but it seems to be working! Our confidence is improving step-by-step." 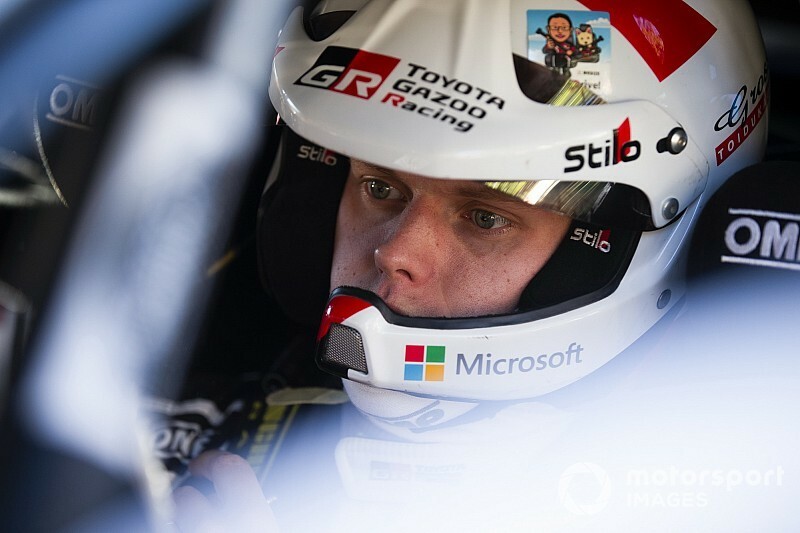 But his mechanical woes meant he dropped to 10th behind the other Yaris of Esapekka Lappi, even though he too lost time when he fell off road and into the overgrowth, blaming persistent brake locking.